I know I have been flooding you guys with new patterns lately. I do, in fact, have another one coming up soon, but it isn’t quite ready yet. 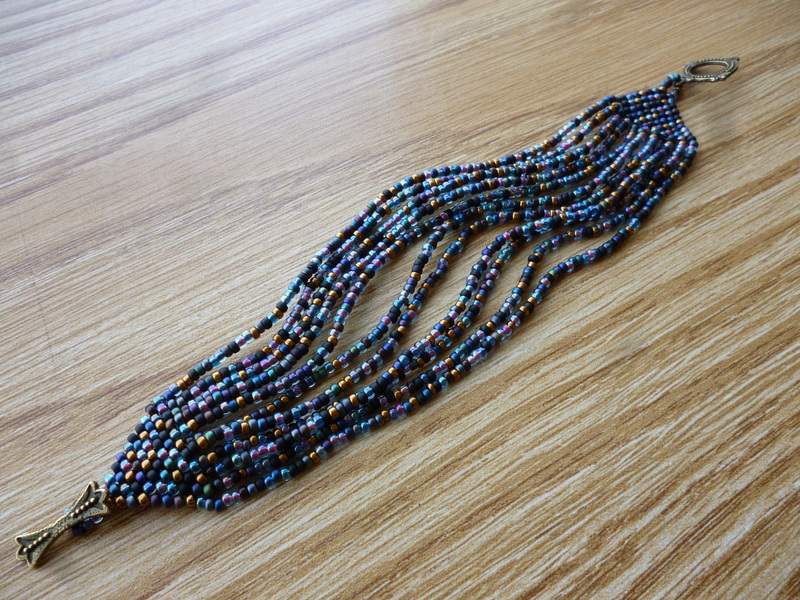 In the meantime, I thought I’d whip up a little post about a stash-busting tool I love – making BEAD SOUP! So, about a year ago, I spring-cleaned my bead stash and found at least twenty tubes of seed beads that were almost empty. 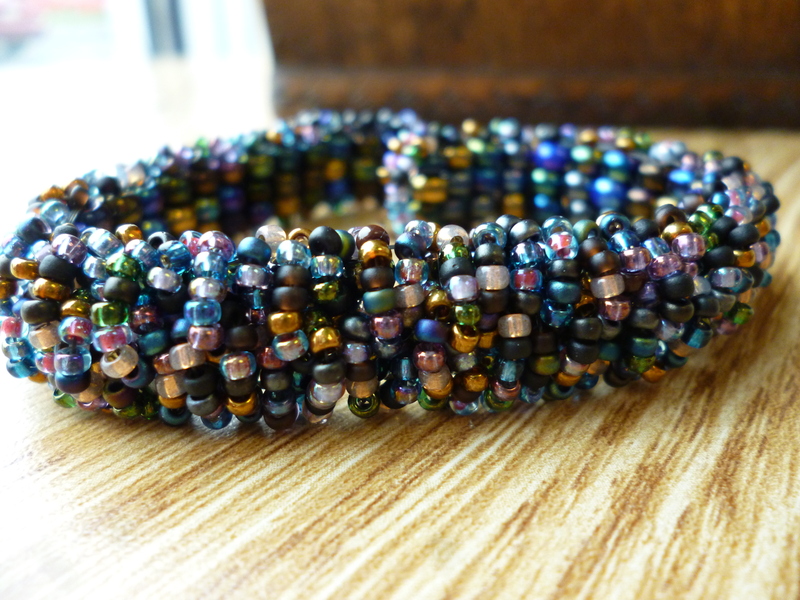 I decided to mix them all together in a few color groups to make bead soup. 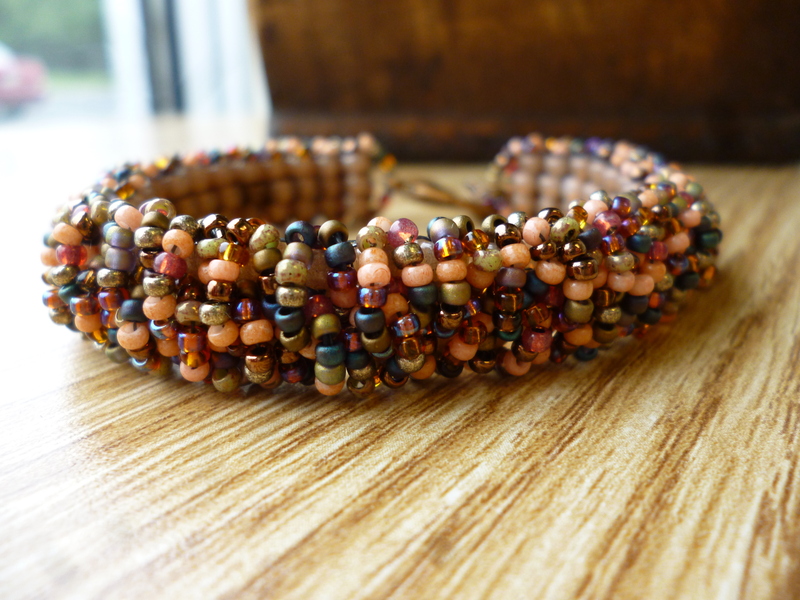 I left them separated by size, though, so I could still use them in my usual bead weaving patterns. My twenty-something almost-empty tubes became three tubes of mixed colors! 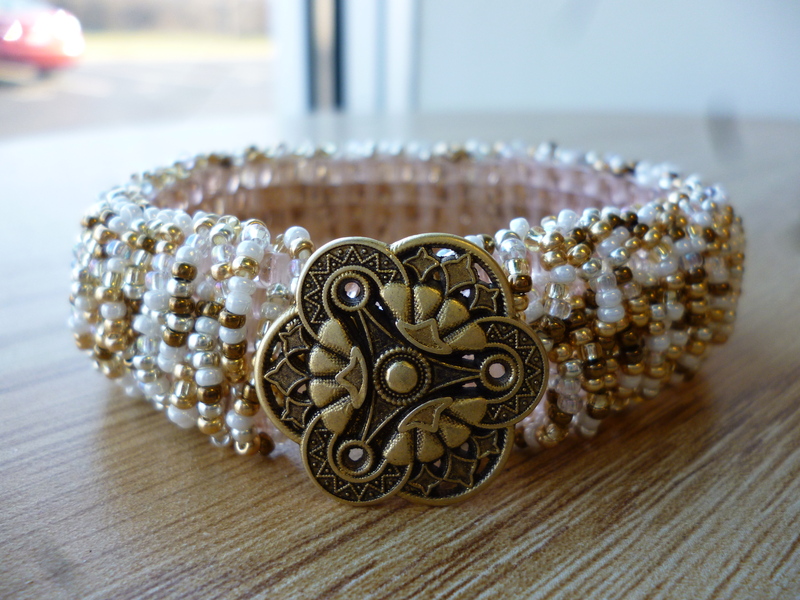 I made a mix of golds and whites and made this. And then I made a blue mix that I absolutely loved and made a whole bunch of things. So, there’s not much point to this post, besides sharing some pictures. 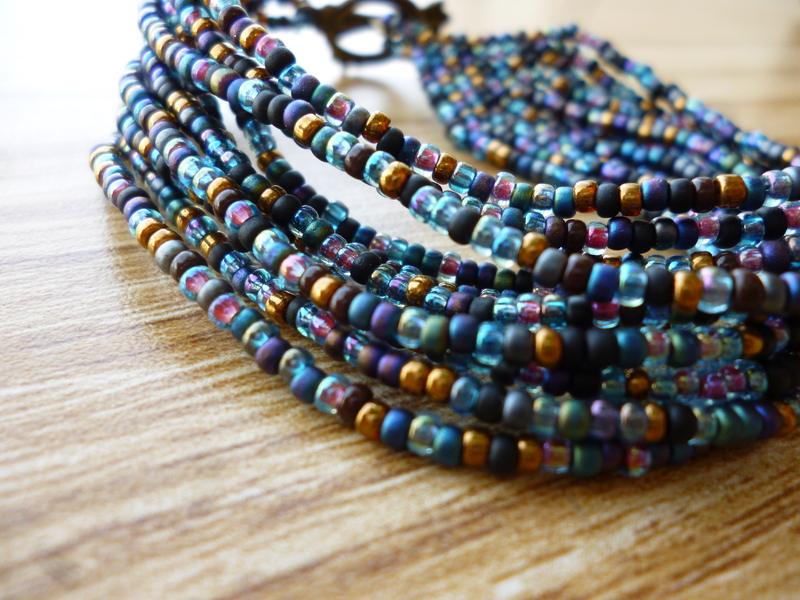 But making bead soup can be a really great way to clean out your seed bead stash and can really jazz up your favorite old patterns with a fresh, multi-colored look. So, dig through your stash and combine your almost-empty tubes. Maybe the new colors will inspire you! 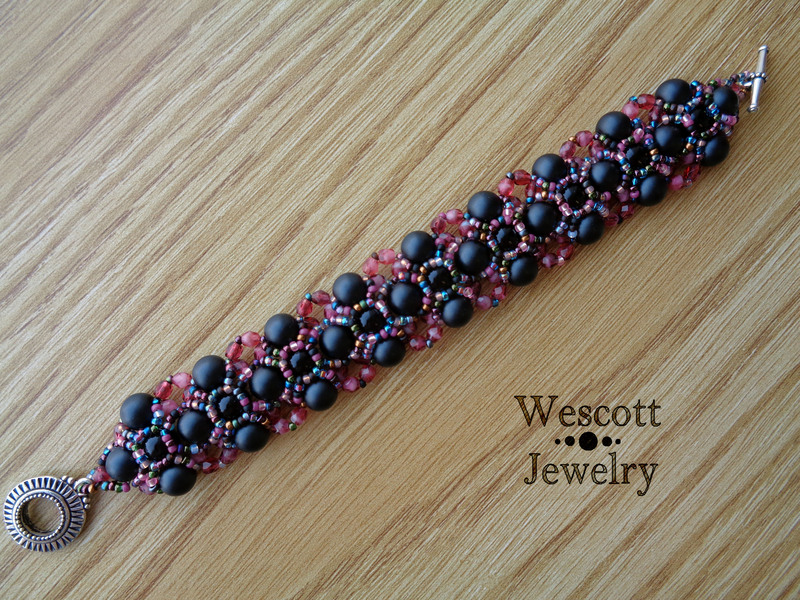 This entry was posted in Bead and Product Chatter, Tips and Tricks and tagged arts and crafts, bead soup, bead stash, bead storage, bead weaving, beading, beads, beadweaving, beadwork, bracelets, color theory, jewellry, jewelry, wescott jewelry. Bookmark the permalink. 1 Response to Bead Soup! Great idea! Betcha I have 40 or so, and I like the plan of keeping them in their size range rather than mixing them completely.